Thomas A. Nazario is an attorney and Assistant Professor of Law at the University of San Francisco School of Law. His expertise lies in the fields of Community Civic Education, Children’s Rights, Family Law, Civil Rights Litigation, Education Policy, Human Rights and Economic Justice, particularly as they relate to women and children worldwide. Tom Nazario has authored four books on children’s rights including the nationally acclaimed In Defense of Children. These publications have made him a recognized expert on the legal rights and problems of children in America. 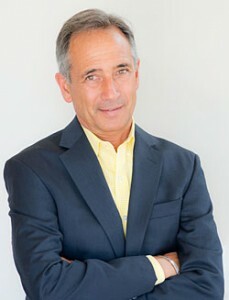 He has appeared on CNN, Oprah Winfrey, Larry King, the Today Show, and the Tom Snyder Show, as well as dozens of other television and radio programs while, at the same time, serving as a consultant to law firms throughout the country litigating cases involving children who have been abused or neglected, the subject of an intense custody battle, lost in foster care, or injured or killed as a result of someone’s negligence. Additionally, Tom has drafted legislation that would ban the corporal punishment of children in California, has testified before Congress on the problems facing children in America, and has served as a member of a congressional subcommittee charged with coordinating activities associated with National Children’s Day, as well as worked a task force responsible for monitoring the status of children in America. In acknowledgement of his work, Tom was named the 1997 Harvard Educator of the Year by the Harvard Club of San Francisco, and in 1998 received the Sarlo prize from the University of San Francisco. The Sarlo prize is his university’s most prestigious award and is given annually to the professor who has exhibited excellence in teaching and in his or her commitment to students and the community. 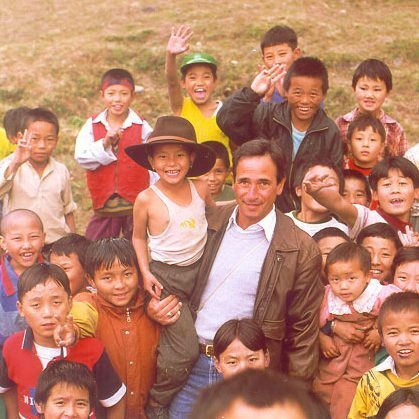 Tom with Tibetan refugee children on his first trip to Dharamsala, India, in 1999, during a mission for the U.N. In 1999, Tom was asked to travel to Dharamsala, India, to meet with His Holiness the 14th Dalai Lama as a member of a legal team charged with preparing a report to be presented to the United Nations Committee on the Rights of the Child. This mission intended to document human rights abuses levied by the Chinese government against Tibetan children, as well as the life experiences of the nearly 2,000 Tibetan children who each year cross the Himalayas to escape Tibet/China. The report, entitled A Generation in Peril, The lives of Tibetan Children under Chinese Rule, was presented to the United Nations on June 6, 2005. As a result of his work on this report, Professor Nazario has returned to India on eight occasions over the past twelve years. In doing so, he has brought students from his university to work with refugee children, developed a scholarship program for Tibetan students, and coordinated a visit by His Holiness the Dalai Lama to the University of San Francisco in September 2003. His Holiness came to USF to receive an Honorary Doctoral Degree and give thanks for the work Professor Nazario has spearheaded on the university’s behalf. Since then, Tom has continued to work with the Dalai Lama on various visits to the United States, as well as projects related to the care and protection of the Tibetan people. For over twenty years, Tom has also worked as a Senior Trainer for the U.S. State Department, as well as an Inspector for the United Nations. While acting as a Senior Trainer, Tom conducted workshops designed to encourage high-ranking officers within police agencies throughout the world to treat all those they serve with human dignity and with respect for their individual rights. On behalf of the State Department, Tom has traveled to Eastern Europe, Africa and Asia. As an Inspector of the United Nations, Tom was specifically charged with reporting on the condition of children worldwide and on violations of the International Convention on the Rights of the Child. In addition to his work with Tibetan children in India, Tom has visited children living in sewers in Romania, imprisoned child soldiers in Rwanda, children sick or orphaned by AIDS in Botswana, and children trafficked into sexual slavery in Thailand. Tom has also taught a course on the Constitution and the Family at the East China University of Politics and Law in Shanghai, China, in addition to teaching several other courses on International Rights and how such laws relate to children at Trinity College in Ireland, Pazmany Peter Catholic University in Budapest, and at Charles University in the Czech Republic. 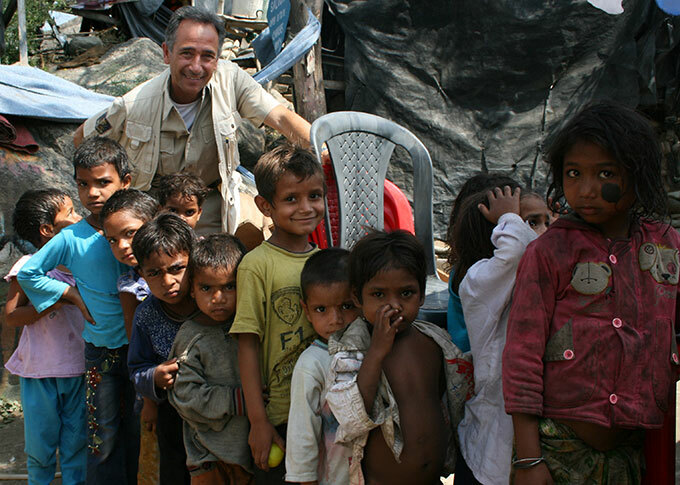 Tom with children at the Charan Slum in Dharamsala, India, while working on Living on a Dollar a Day. In 2007, Tom founded The Forgotten International. Over the years, our foundation has raised hundreds of thousands of dollars to help fund programs and projects in nine countries. Tom’s award-winning book Living on a Dollar a Day: The Lives and Faces of the World’s Poor (2014) was published by W.W. Norton and Company in New York. The award-winning documentary film about the making of the book premiered in October of 2017. Tom speaks to communities around the country to bring the issues related to global poverty to light. He recently co-authored our foundation’s second publication, a curriculum for high school students called Doing Good. This compassion education manual is now available worldwide.